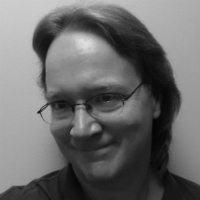 With over sixty short fiction stories published in the last three years, his work has appeared in dozens of publications including; Sanitarium Magazine, The Sirens Call, Tales from the Near-Future, Massacre Magazine, After The Happily Ever After, Shadows of Salem and Hidden in Plain Sight. In December, his piece ‘Something’s Wrong With Mother’ will be appearing in The Haunted Traveler. He has also published two collections of short speculative fiction entitled A Taste of the Grave and Once, Twice, Thrice, as well as, a best-selling novel entitled The Walking Man. The first book in his middle grade thriller series Mad Maggie Dupree was published June 26th with the second book, Mad Maggie Dupree and The Wood Witch due out October 30th. Kirsten Schuder with Apex Literary Managment is representing his paranormal mystery series entitled Darke County. He received the 2015 Story of the Year Award for his piece ‘Mr. Garret’s Interview’ by FictionMagazines.com. Sign up for the monthly newsletter to get a free story to read every month!